Today Beyonce shocked the world with the release of her fifth studio album. This self-titled album isn't just your everyday collection of songs. It's a visual album that includes 17 amazing videos. In the midst of all of the stimulating visuals, one thing in particular stood out to us. You guessed it, the hair! Our BEYloved diva rocked every style from beginning to end. Here are some of our faves! On the morning of December 13th Queen Bey released her album including 14 songs, along with 17 videos to the masses. The self titled album is currently only available for download through iTunes. Mrs. Carter has definitely defined her own rules and pushes people to pay attention to music just like any other art form. The album hits stores on December 21st and we can't wait to get an ear full of Beyoncé and the added video bonuses! Holiday's are the best time to spread more LOVE than usual. Tamar Braxton does just that with her new holiday album Winter Loversland. The album features timeless classics including "Have Yourself A Merry Little Christmas", "Sleigh Bells" and more. The added bonus is Tamar's creative spin on new music including "She Can Have You" and "No Gift". Cassie featured on "Saint Heron"
Bad Boy singer Cassie makes a beautiful appearance on the New “Saint Heron” compilation album in a track entitled “INDO," written and produced by Solange Knowles. Cassie sounds like a complete angel, hitting smooth high notes over the soulful beat! According to the Saint Heron website, "The intent of the album, and the label at large, is to feature, highlight and align a new movement of contemporary, genre-defying R&B visionaries, which will serve as a segue into the diverse evolution of these independent artists as they share their voices and words as only they can – through pure, unadulterated music." Listen to Cassie's "Saint Heron" feature entitled "INDO" below! Jesse Ware's North American Tour! The British pop singer Jesse Ware brings new definition to the R&B music category. The South London born artist debut album, Devotion, "combines the ultra-modern feel of downtempo R&B and British electronic music". She kicks off her North American tour October 17th in Dallas, Texas so stay on watch duty and snag a pair of tickets when she visits your city! P.S she rocks her updo's! Create a similar look with our STUDIO Collection Perfect 10. Michelle Williams' New Sound is on "FIRE"
The lovely Michelle Williams of the Destiny's Child trio has released new songs from her upcoming album Journey To Freedom. Ms. Williams currently has two singles surfing the airwaves: “If We Had Your Eyes” and "Fire." We also can not get enough of her long and elegant fishtail braid, British Tea inspired head piece, and bold lips created for her new project. PURE Wavy in 20," 24," and 30" with a customized color hue will match this classic, yet timeless style! Loved for her role in Tyler Perry's television series House of Payne as Janine Payne, the actress was also apart of the "Dream Girls" cast and other major films. Demetria McKinney is truly evolving into the R&B/Soul artist that she is. You can hear her smooth ballads from the newly released "Work With Me" track off of the upcoming EP Offically Yours. We are also loving her look and the impeccable hair! You can conquer both styles with PURE Curly in 18" and 20." Use a curling wand for polished and defined curls and then transform into a sleek style by simply flat ironing your Pure Curly tresses; that's what we call versatility! The funk soul-stress has a new video for the "Lovers in the Parking Lot" track from her True EP. The mellow video shows Solange in glow in the dark ensembles and her curly mane, all while mixing monochromatic trends with metallic flare! If your looking to have full curls that bounce like Solange's in this video, the BOUNCE Coil Curl in 18" will do the job! Thursdays have officially become the day to post your favorite images from the past, under the hash-tag 'Throwback Back Thursday'. We decided to get in on the action and share our own #TBT moment! In 1998, Aretha Franklin released her most critically acclaimed and best selling album, A Rose is Still A Rose. The song peaked at #30 on the Billboard charts, as it proclaimed the empowering message of self-worth and esteem in the face of adversity and less desirable circumstances. The video for her featured single is a story of one woman's journey from innocence to 'real life', and reassures the viewer that one's definition of them self is found within themselves rather than the world's view of them. The main character played by Elise Neal, is seen wearing red throughout the journey, symbolizing her "Rose" status never leaves, even as her state of mind, situations, personal perspective, and emotions fluctuate. This single delivers such a sense of strength and warmth, as it reminds each woman that while we are not perfect, we are forever beautiful. Have a feel good #TBT, as you take a listen to A Rose is Still a Rose. Song bird Mariah Carey sure knows how to bring in the spring weather with her new single "Beautiful" featuring Miguel. The sunset lighting and delicate scenery feels like a breathe of fresh air as you watch the two interact throughout the video. And her voice...still sounds amazing as usual! For Mrs. Carey's wind blown hair go for the Hysteria Collection in 22." Indique x Wale Contest- Winners Revealed! 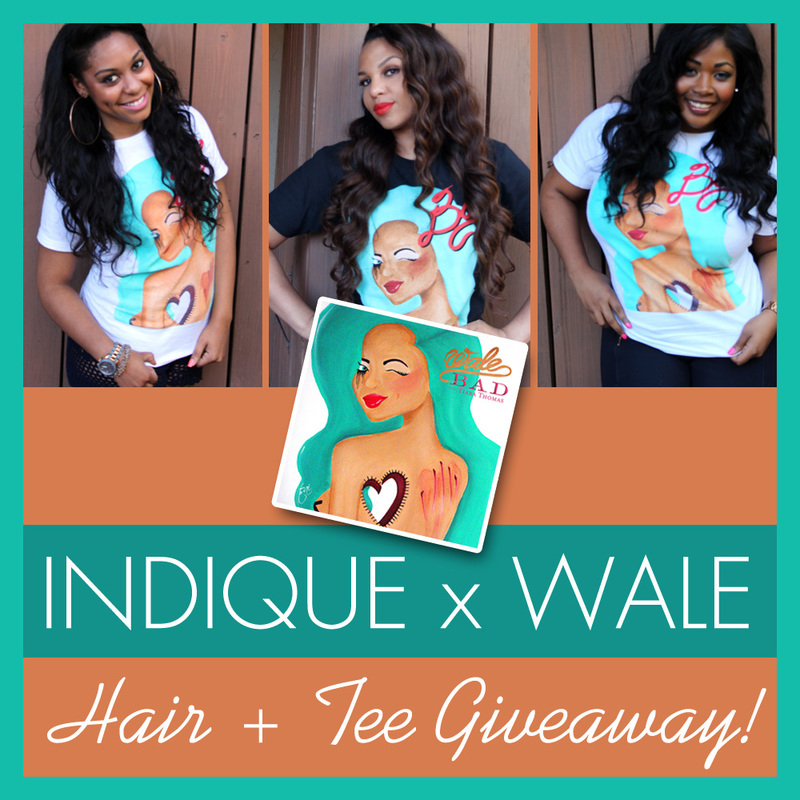 Thank You for all of the submissions for the Indique x Wale Hair + Tee Giveaway! The winner for the @iloveindique twitter handle is: @poeticlovee! The winner for the @iloveindique instagram handle is: @_Raquelbateman! 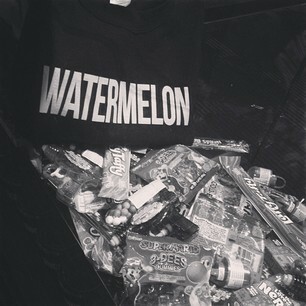 Congratulations ladies, you have both won TWO Tubes of Indique Hair & the Amazing Wale "Bad" T-shirt designed by Suetsai! Behind the Scenes of Kelly Rowland's New "Video Kisses"
Kelly Rowland looks amazing in the sneak peak of her new video "Kisses". Behind the scenes, Kelly talks about the hair, makeup, and concept of the flirty video. Check out the 'Mike Will' produced track below from upcoming album Talk A Good Game due later this year. A Day in the Life of BOSS LADY! 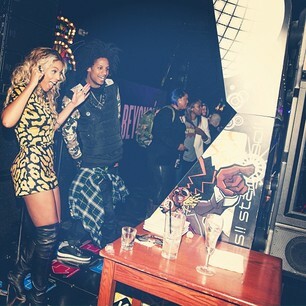 Indique Fave, Simone “Boss Lady” Amelia, recently launched her limited edition Reebok on Dr.Jays.com! Inspired by Princess Jasmine and her Middle Eastern descent, this sneaker is a must have! Check out a day in the life of Boss Lady here. P.S. Boss Lady beautiful tresses are Indique Hair’s PURE Straight in 24”! Indique Fave Azealia Banks released her latest video “Luxury”! Styled by Indique Expert Liz Owusu, you can recreate Azealia’s mermaid waves with PURE Wavy. Azealia Banks chats with Nylon Mag! 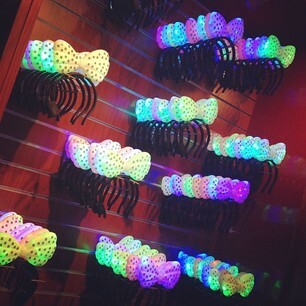 Azealia Banks recently launched her “Yung Rapunxel” lipstick with Mac Cosmetics and the launch party was AMAZING! She performed a series of her hits and literally had the crowd jumping! The Soho Mac store was the place to be on FNO! She caught up with Nylon Magazine to discuss her latest collabo. Azealia Banks discusses her new custom colored Indique Hair in plum, styled, colored & installed by Indique Expert, Liz Owusu. Check out the article here! A view from the crowd above!